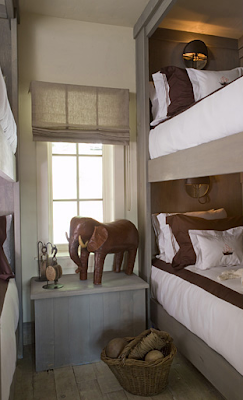 Now this bunk room looks like it stepped right out of the pages of Restoration Hardware Baby & Chid. Beautifully designed by Beth Webb Interiors. What a great leather elephant too!